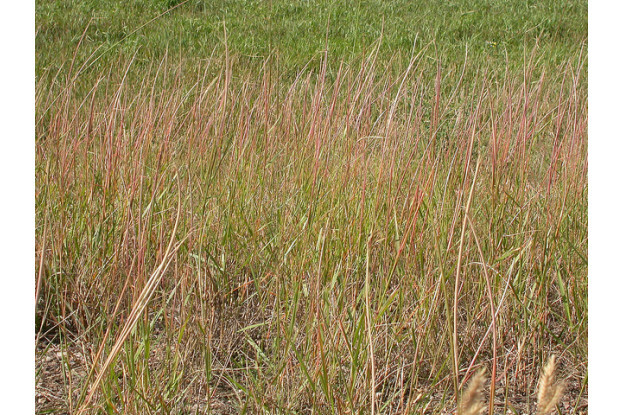 This warm-season perennial bunchgrass is native to the semi-desert areas of the Intermountain West. It can grow up to three feet tall and forms a reddish seed head bearing thousands of tiny seeds. Sand dropseed is drought tolerant and very valuable for erosion control in sandy areas. It prefers full sunlight and sandy, well-drained soils. It also provides fair to good forage for livestock and wildlife. Can be grown without irrigation in areas receiving at least 8 inches of annual precipitation.